Your entire life I have greeted each of your birthdays with a mixture of sadness and joy—sadness for the years and milestones that have passed and joy for person you are becoming and the good times ahead. But this year is different. Today we will celebrate your 21st birthday, and I feel nothing but joy. You made it! You are officially legally old enough to drink. That might seem a funny thing for a parent to be happy about. But as you know, your father and I consider a nice glass of wine or fine cocktail one of life’s great pleasures. We look forward to sharing that pleasure with you. After all, a proper drink can add festiveness to an already happy occasion. It can bring friends closer and make conversations warmer. As the book of Proverbs says, God gives us..wine to gladden the heart of man. Or as Benjamin Franklin (might have) said, beer is proof that God loves us and wants us to be happy. Of course your father and I love you, and we want you to be happy. That’s why it’s only fitting that we celebrate your 21st birthday, not only with a toast, but with some advice about drinking. 1. Drink. Water. Drink. Water. When out with friends, it’s easy to lose track of how many drinks you’ve had or to get carried away. I do not speak from experience, of course, but I have heard that one margarita quickly turns to two which leads to a third. Then a fourth one magically appears at your table, and the next thing your know you are karaoke singing Loretta Lynn songs whilst wearing a sombrero. An easy way to prevent such a mortifying experience is sip a full glass of water between each alcoholic drink. This will not only cut down on your alcohol consumption but also keep you hydrated—an important factor in feeling your best the next day. 2. Always drink in moderation. Of course the best way to avoid the aforementioned scenario is to drink only in moderation. Sometimes there is a fine between festive and foolish. Know your limit and stick to it. It’s not a far fall from “one more won’t hurt” to “I can’t believe how bad my head hurts.” You will never regret not drinking too much, but drinking too much can lead to a multitude of regrets. 3. Drink the good stuff. I’m not talking about 100 dollar bottles of scotch. You are a college student not a US senator. But drink the best you can afford. The logic here is two-fold. You will enjoy it more, but you will drink less. You will also develop more sophisticated taste in beer, wines, and liquor. This will serve you well in later in life when you need to purchase a hostess gift or order a bottle for the table. 4. Be a cheerful drinker. Author and theologian G.K. Chesterton once said, “Drink because you are happy, but never because you are miserable.” This makes perfect sense. A few beers with friends or a couple of cocktails can add festiveness to an already fun evening. But drinking to relieve stress or numb a pain is a recipe for disaster. It takes much more alcohol to drown one’s sorrows than it does to add a spark of fun. And when the bottle is empty you will still be miserable—and you’ll have a headache. 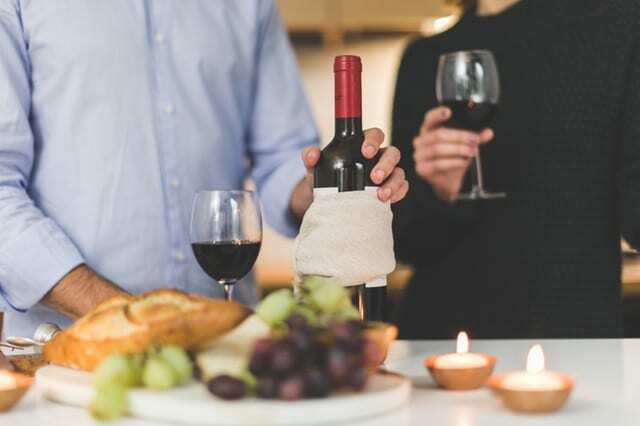 , Baylor Professor Michael P. Foley, points out that drinking should always be a part of a larger celebration. A healthy drinker doesn’t drink alone, nor does he socialize as an excuse to drink. Don’t go out drinking with friends. Rather, have a drink with your friends to celebrate being out together! 6. Make toasts! Again, drinking is meant to enhance a celebration. When we toast—to old memories, special occasions, dear friends, or anything else we feel grateful for—we honor that which is being toasted, and it is a form of thanksgiving. So, here’s to you, Dear Boy. May your glass always be filled with good drink, your life always be filled with good friends, and your heart always be filled with love for God and for others. And may every day of your life be filled with as much joy and happiness as you have given us.